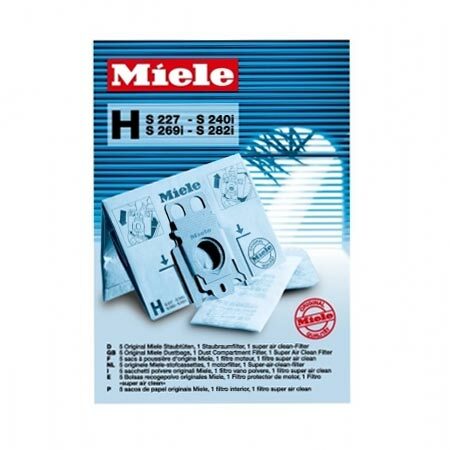 The Miele Type H Bags (02046318) are for the Miele S200 FULLSIZE canister vacuums. The multi-ply random-spun fibers reduce dust and allergen emissions. Suction loss from a full bag has been reduced 25%. Suitable for S227 - S240i and S269i - S282i. Package includes 5 Dustbags, 1 Dust compartment filter and 1 Super AirClean filter.